"The Witches of Bruegel" at the Sint-Janhispitaal, Bruges. 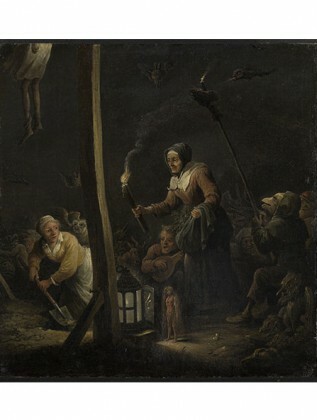 The Sint-Janshospitaal of Bruges is devoting a great exhibition dedicated to the witch imagery. If everyone knows how it is presented – an ugly old woman with a broom to fly through the chimney – who is preparing potions in large pots under the evil eye of a black cat, we are often unaware that this is Pieter Bruegel the Elder who first conceived this representation. The world of witchcraft is exposed in the medieval granary of the former Saint-Jean hospital and it is explained how witch hunts were organized, the powers attributed to them and their magical rituals in Bruges and around.